Last time we visited my parents in Indonesia, they decided that it was a good idea to go for a road trip around Java with the whole family – all 5 of us: my folks, my brother, Jack and I. Unfortunately, we grossly underestimated the traffic and ended up spending hours cooped up in the car. Our day would consist of: breakfast, jump into the car, drive (or stuck in traffic), check in into a hotel, sleep. Repeat. 3 days of that was enough. Jack has been such a good sport enduring hours and hours of being cooped in the car. But even, I, who grew up inside a car (as my parents like to say due the commute they used to do), had had enough. The morning after we arrived in Yogyakarta, my parents were ready to round us up for another long trip in the car to some random destination they had in mind. Jack and I begged that just for today, let’s stay in the city and explore what Yogyakarta has to offer during our 1 day stay. Which turned out to be plenty. One of the things we like to collect from our travels, besides lapel pins, is wall hangings. Well, Yogyakarta turned out to be a great place to shop for Batik wall hangings (or Batik tableclothes, or Batik shirts, or Batik anything). Just beware of the tricks that the batik touts would use to lure you into their shops. Jack, is a big fan of Indonesian batiks and the wayang characters and we walked away with 3 wall hangings. Which we’ll have to put in storage now because we’ll be homeless in 2 weeks. Yes, we like to think ahead of times of our actions. Ok, this is more for me to do than Jack but I love, love, love gudeg, a dish made of young jackfruit and coconut milk. The most famous gudeg supposedly can be found on Wijilan Rd, just right outsde the keraton wall. Well, what do you know? There are 4 different gudeg restaurants, side by side. What does a gudeg lover to do? Try all 4 of them of course! Each one was different from the others in terms of level of sweetness of the spice and spiciness of the chili… but I loved them all. Jack, you’re so missing out. Yogyakarta goes up a notch in my book because there aren’t a lot of places that can boast a ruling, palace-dwelling sultan. For Rp. 10.000 (or $1) you can get a 2-hour becak ride around the sultan’s palace and the old part of the city. Even for Indonesia, that’s a little cheap. The catch is, the becak drivers will try to take you to all of these artisan’s shops selling T-shirts, puppets, silver jewelleries, batiks, etc, etc hoping for commission on anything you buy. You don’t have to buy anything you don’t want of course. But the smaller stores with fewer customers can be quite persistent in getting you to buy something. Becak rides are so much fun though. Since the driver is behind you, you feel really exposed driving side-by-side with cars and motorcycles. Becak rides are so much fun, they are even worth the ‘extra stops’ that the becak drivers will include in the fare. Another thing that Yogyakarta is famous for is its ‘lesehan’ style dinner. 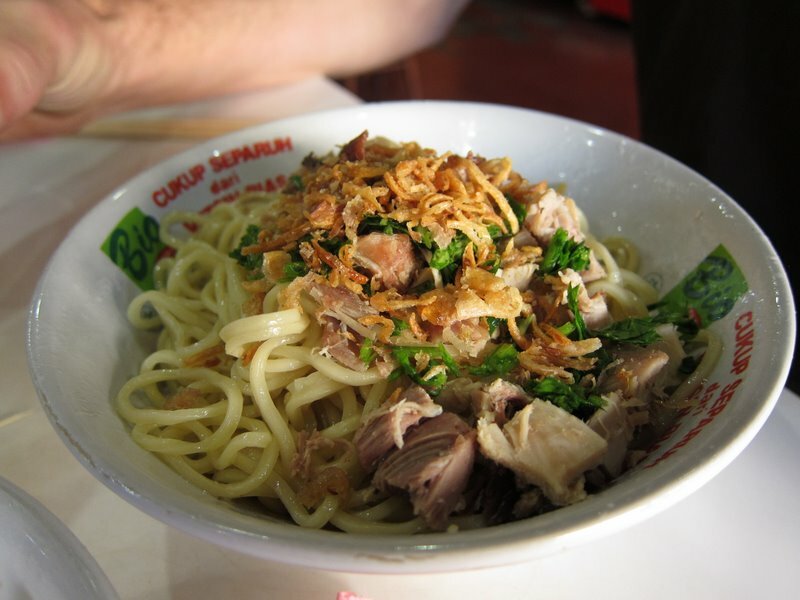 At night, the sidewalks are turned into mini-restaurants serving gudeg, seafood, fried chicken, and other traditional dishes. The guests all sit on the floor. The bigger ‘lesehans’ might roll out a bamboo carpet or so, but sometimes all you get is a step on the sidewalk. You sit on the sidewalk, eat awesome food, watch the passerby, and soak up the night scenes: the temperature has dropped to a tolerable level and the sound and smell of food cooking was intoxicating. Gosh, we just love street food so much. Is it us or food eaten outside is just automatically 10x better (and healthier for you)? 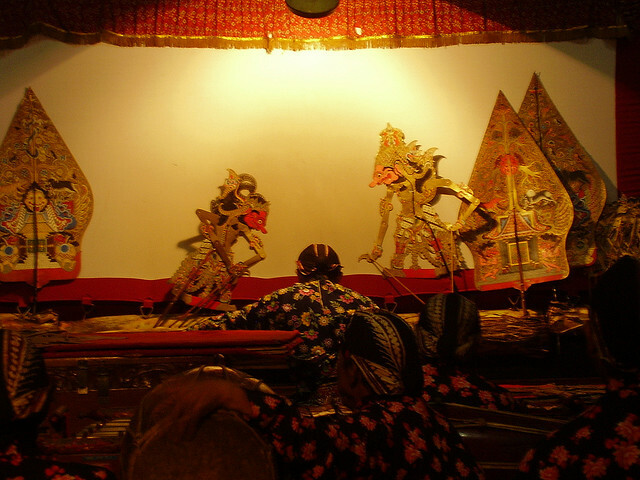 Every night at 8pm, there’s a shadow puppet show held in the Sonobudoyo Museum, right outside the alun-alun – or plaza (keep going on Malioboro until you hit the gate before the plaza, it will be on your right). We wanted to see this so bad, but it started raining after our lesehan dinner and we didn’t feel like making the walk in the rain. Looking back, I really regret the decision and wish we had gone for it 🙁 For god’s sake we drove 3 days to get there, what’s a little rain, eh? For daily/weekly cultural events in Yogyakarta, check out this event calendar. So, Yogyakarta turned out to be a very cool city to hang out and it sort of made up for the countless hours spent in the car to get there. And even the countless hours in the car on the drive back to Jakarta. Note: One of these days, we’ll catch a shadow puppet show. 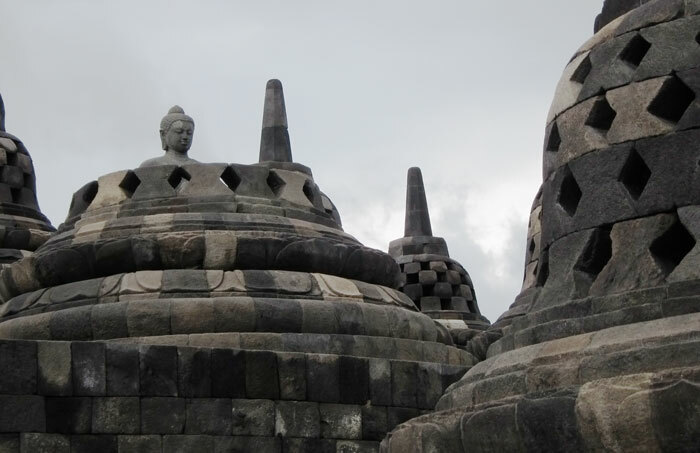 Have you ever been to Yogyakarta? What was your favorite thing you did there? 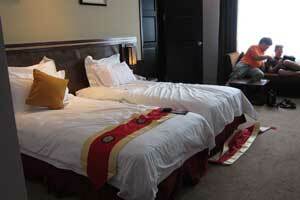 Tomorrow I'll go to Yogyakarta! Thanks for your info, though. awesome! i love Jogya! especially the puppets and the batiks! Thanks so much for your insight into Indonesia! We just got to Bali a couple of days ago, and I've been using your site to find suggestions of things to do as we travel to Jakarta. 🙂 Loved the entry about veggie food! Dude, you're making us hungry too! I think I would go to Yogyakarta just for an excuse to say its name over and over again! It sounds so cool. Sounds like you had a great time in Yogyakarta! The puppet show looked wonderful… next time you'll have to make it! Loved the idea of the sidewalk dinner. "Soaking up the night scene" sounds like a perfect to get to know a city.